Many professionals do not possess a large amount of knowledge into aggregates even through it constitutes 60-80% of the overall concrete mixture. This section of the website is dedicated to advancing the education of aggregate. These lecture notes and videos to help lay out a fundamental understanding of aggregates. This does not necessarily focus on aggregates used just in concrete applications. The notes give information on the chemical make-up of aggregates, properties of aggregate, gradation, exacting aggregate, and using aggregates in different applications. all effect the performance of the structure throughout its service life. 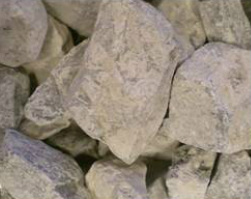 Aggregate is a general term for crushed stone, sand, and gravel. In many applications such as concrete, asphalt, aggregate base, clay brick, concrete masonry units, railroad ballast, and even filtration in water treatment plants use aggregates as a main ingredient. On average to build a house, it takes 400 tons of aggregates. For a 4-lane highway, it takes about 38,000 tons of aggregates. Also, a 100,000 sf office building will use close-to 5,000 tons of aggregate. Some very basic specifications are used to ensure the aggregate will performance properly for a certain application. Unfortunately, aggregate specifications are not always well understood. To help broaden the knowledge of aggregate in general, notes have been developed to explain in detail some of the different topics that go into a specifications. Notes for a 16 week aggregate class was developed. Below breaks up the notes into the three different categories: aggregate properties, exacting, and specifications. Over eight references and actual field experience was used to developed easy understood and educational notes. Videos and lecture notes were used two short lecture periods. These notes were complied and reduced into two hour and a half long lecture periods that briefly go into a variety of the topics.